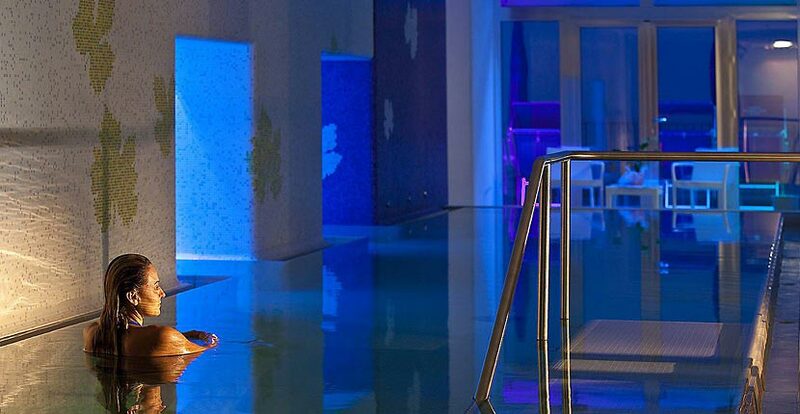 Terramarique: thermal waters and wellness "Made in Ischia"
Boasting a to-die-for location, within meters of Ischia's beautiful Maronti beach, a state-of-the-art spa and one of the best restaurants on the island, Hotel San Giorgio Terme has all the ingredients for a holiday of a lifetime. Behind the sleek modern façade of the hotel, the interiors feature a beguiling combination of contemporary designer furnishings by Philippe Stark and the island's traditional majolica floor tiles and chandeliers crafted with mother pearl. 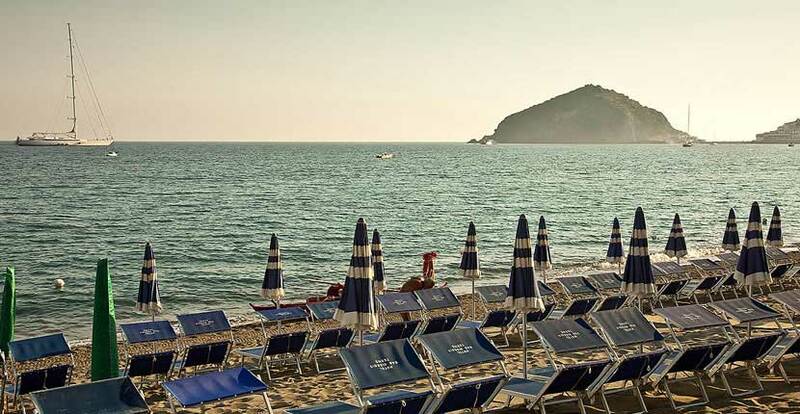 Frequent visitors to the island all agree that "I Maronti" is by far Ischia's most beautiful beach. 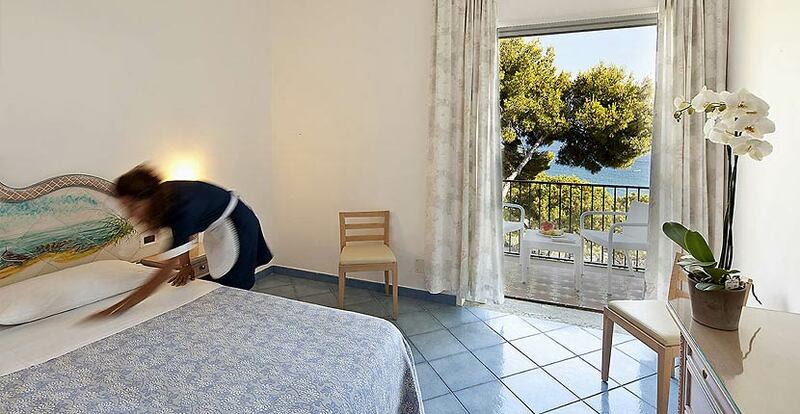 This little corner of paradise lies only 450 meters away from the hotel and an area of the beach, equipped with sun loungers and beach umbrellas, is reserved for exclusive use by guests staying at the San Giorgio. 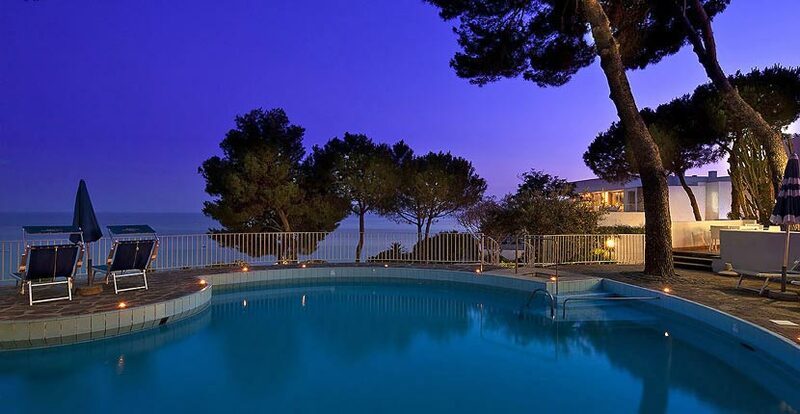 On a sun-drenched terrace, with a view which stretches all the way across the bay as far as the islet of Sant'Angelo, the hotel's outdoor swimming pool is just one of the many spectacularly panoramic areas in which guests are free to linger at leisure. 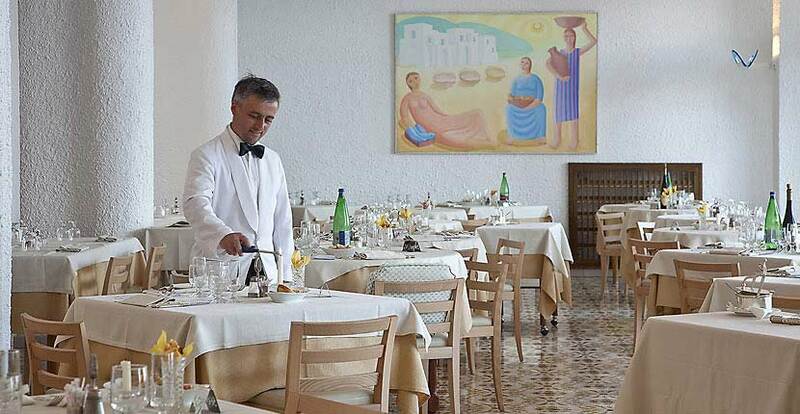 Guests dining at Hotel San Giorgio Terme's terrace restaurant can expect to enjoy an unforgettable evening, savoring the very best of Ischia's flavor-packed cuisine, within meters of the sea. All dishes are prepared using the finest locally sourced ingredients, many of which grown in the hotel's organic kitchen garden. 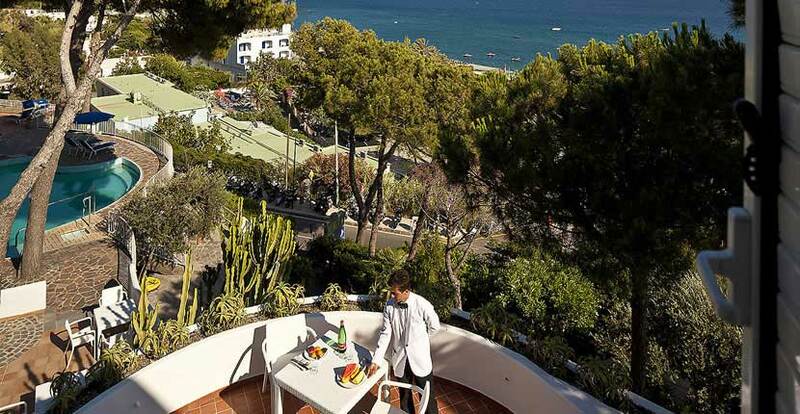 Hotel San Giorgio Terme is located close to the beach of Maronti, one of Ischia's most famous seafronts, which extends from Signora Point all the way to the islet of Sant'Angelo. 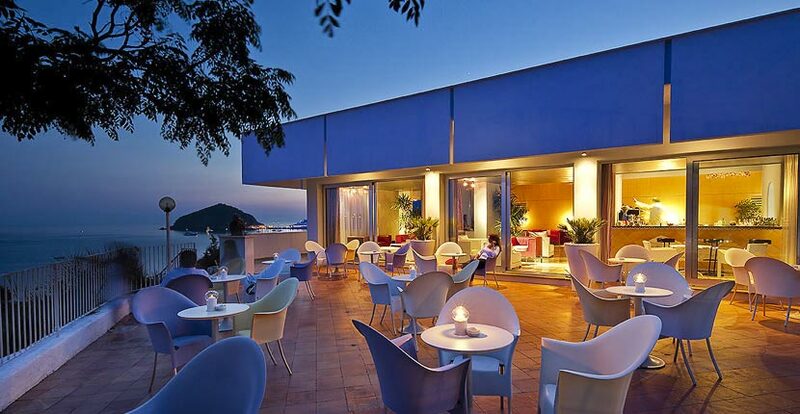 Situated in the "comune" of Barano d'Ischia, the hotel lies a mere 450 meters from the beach and the center of the town. 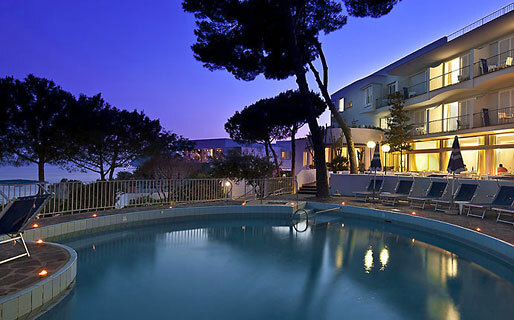 Hotel San Giorgio Terme is only 8 kilometers away from Ischia Porto, where to board hydrofoils and ferries to Naples and the other principal destinations on the Bay of Naples.